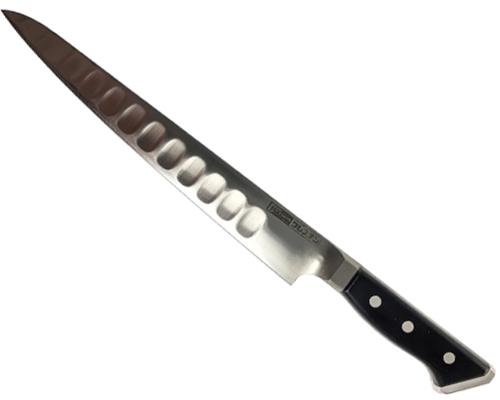 Kikuichi Hammered Damascus 8.25 in. 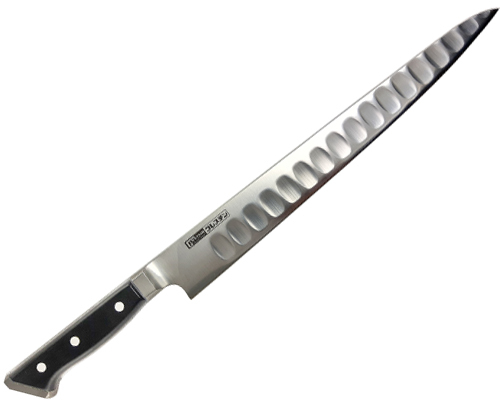 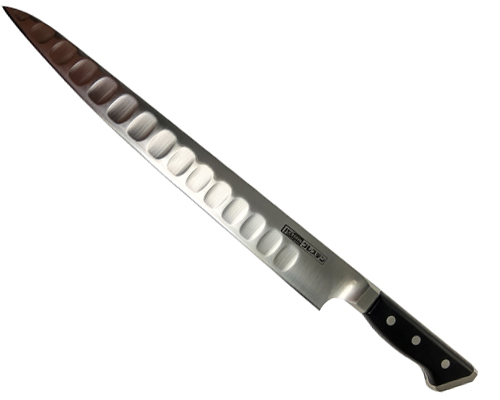 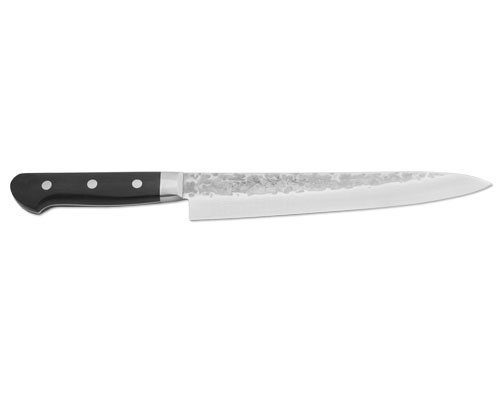 (210mm) Sujihiki or slicing knife has a very flat blade edge this helps with long drawn out cutting strokes. 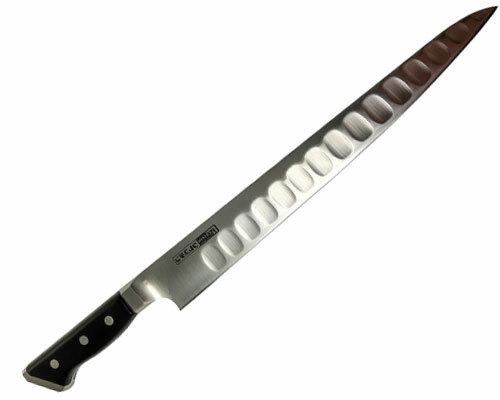 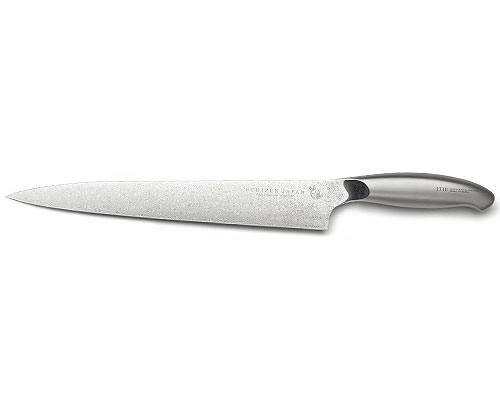 This knife is meant to be sharpened on stones the flat camber of the blade will allow you to put more of the edge on the stone per stroke shortening the sharpening process.